How about that Cornbread Recipe? 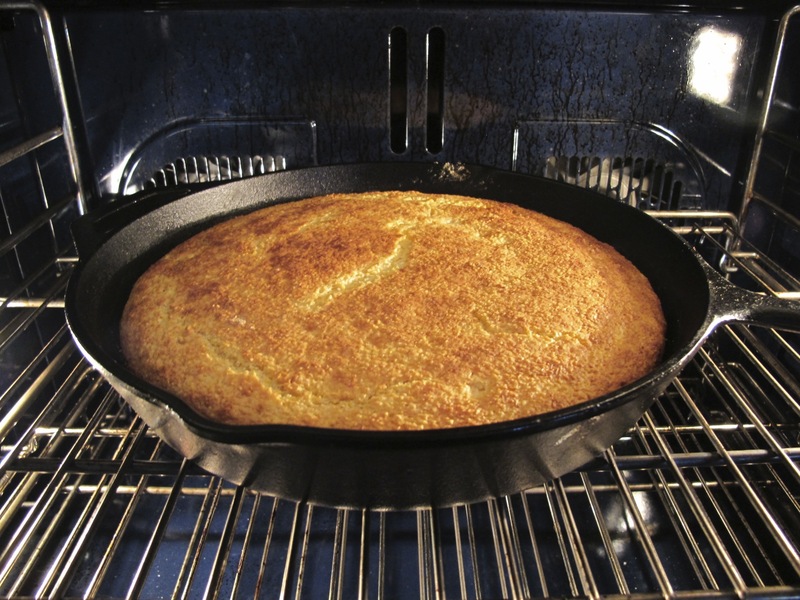 This is a simple, classic recipe for cornbread. Look at the title if you don’t believe me. Cornbread goes perfectly with chili, cornbread goes with ribs, cornbread is fine on its own with butter and jam. Oh so versatile. This recipe bakes in a cast iron frying pan so it gets a lovely crispy crust. Preheat the oven to 450° F. Oil a 9-inch, well-seasoned cast-iron skillet with 2 tablespoons of oil. Sprinkle the pan with a teaspoon of cornmeal. Place the skillet in the oven to heat. Put all the dry ingredients into a bowl and sift with a whisk. In a separate large bowl, add the buttermilk, oil and eggs and beat well. 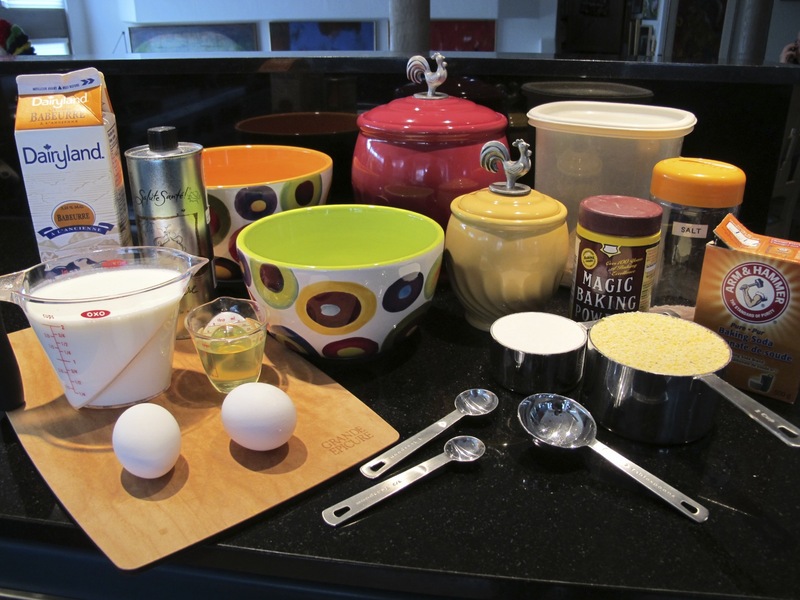 Add the dry ingredients and stir with a wooden spoon until the batter is just combined. Do not over mix! 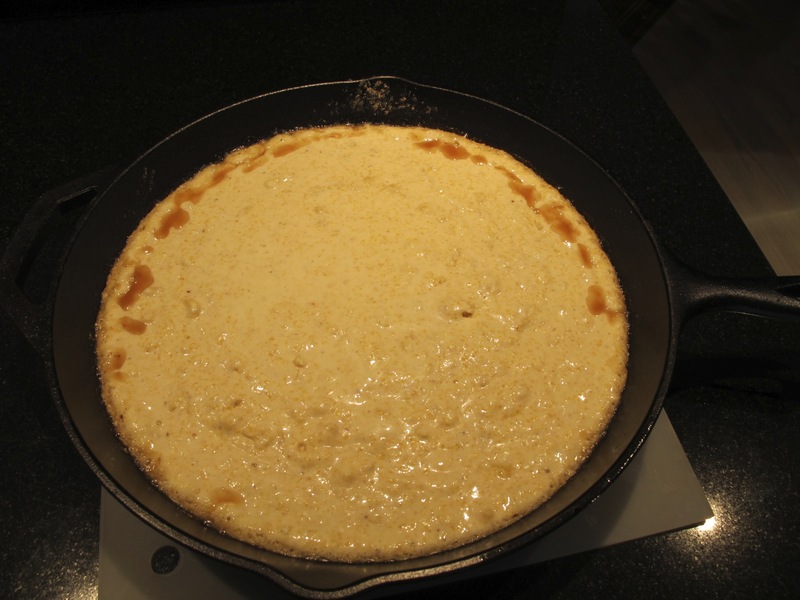 Take the skillet out of the oven and pour in the batter. Place it back in the oven and bake for 20 to 25 minutes — or until browned. Using an oven mitt, turn the skillet over on a plate. Serve with your chili or with preserves and butter. Yumm. I’ve been on a bit of a break from posting recipes lately. I’ve still been cooking, but I’ve forgotten to take pictures. I’ll have to get focused. Next who is in my garden? It’s nothing fancy, but it is good! Thanks for stopping by! Really – such a teeny tiny amount! I’m sure I’ve purchased blue corn flour at Community… it’s very healthy you know! I was impressed with the difference the cast iron made to the baking. You should give it a try. Hope you’ve had a nice week-end! So… I was there just the other day! I’ll be looking for it next time. I had blue cornbread at Coyotes in Banff.. which is why I was on the hunt.. I wanted to reproduce it for my blog! That’s pretty much what it sounded like around here! I’m on a misstion to find the perfect corn bread recipe. I think this one will be my next to try. Thanks for sharing! I love cornbread and this sounds delicious. Thanks for sharing! And thanks to you for checking it out! 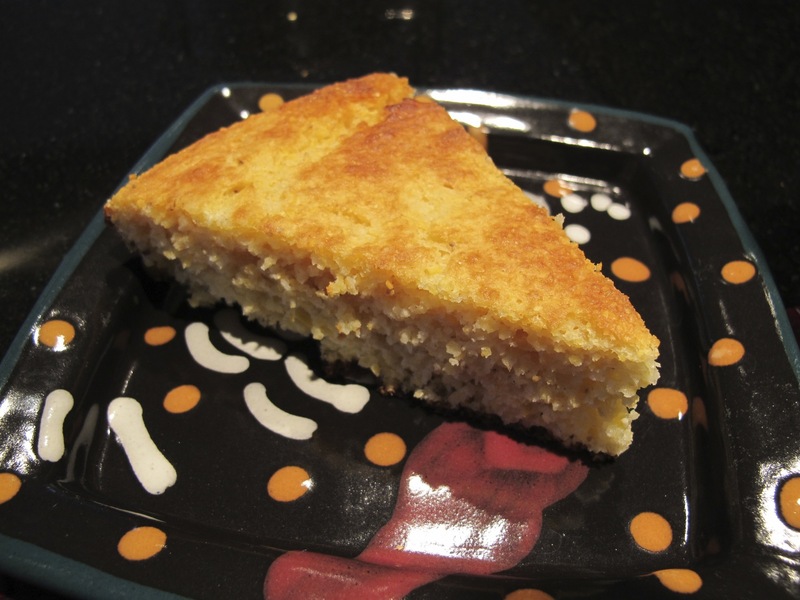 This is a really simple cornbread that begs to have things added, but the crunchy edge is hard to beat. I’ve really come to enjoy cooking without taking photos since I started my blog – dinner’s ready in half an hour versus 2 1/2 hours! That’s funny. I don’t usually spend a lot of time with the food photos. But when I forget – it will be until we’re clearing the table and I think, “Oh drat – I should have taken pictures!” Some days the blog and food prep seem to be off my radar! Thanks for stopping by!